Villas Montego Bay offers a heaven and earth vacation experience to a beautiful Jamaican beach or hilltop vacation home, enhanced by its own Jamaican staff. Though staying in a hotel may be easier to book, staying in a villa is different and you should consider some of the following. For instance, these beautiful Jamaican villas can provide you with an unique experience for your complete stay in Montego Bay Jamaica. Why Should You Choose A Villa? Privacy is a prime factor offered by villas as compared to the hotels that are usually fully booked and busy. Villas offers luxurious surroundings, tranquility and private spaces that are shared with only your own family and friends. Another plus is the joy of having your own private pool and jacuzzi. And, to swim as you please, whether in the buff or not. Along with having a villa in a beautiful geographical terrain adding to its beauty and serenity. You no longer need to wait and yearn for personal attention and service from the staff. In a villa, there are ample number of staff, and remember you are their 'special' guest, unlike hotels and restaurants. The diverse staff team which can include your own personal chef, your butler to assist you in setting up any social or sporting event, and housekeeper, are all dedicated and focused in meeting all your needs. They are also predominately locals which helps spreads a flavor of Jamaican culture around you during the course of your stay. The next best thing about a villa is your dining experience. Unlike a restaurant, you sit with chef and discuss the specialty of the day and the day's menu. You have the flexibility of choosing your favorite meal from a wide range of sumptuous cuisines. The options and the flavor of the villa's dining will leave your taste buds wanting for more. You will never think of a restaurant ever during your stay at villas montego bay. The cost of renting a villa is considerably better when you travel in a group of say six to ten people. Or for family reunions, large family or group visits. Prices do vary according to location and how many bedrooms your villa contain. The total expenses incurred for such a large group in a hotel will compensate the expenses incurred in a villa. Food, transportation and tips expenses incurred in a hotel will justify for the cost involved for a huge group in a villa. These are the many positives of renting a villa as compared to that of staying in a hotel. But, this is just the tip of the iceberg. Villas have much more to offer to make your vacation memorable. 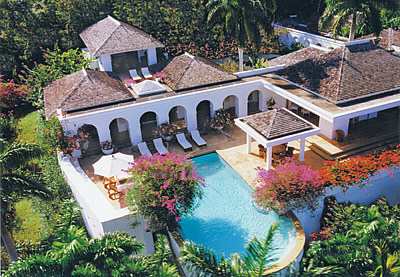 So choose your private villa paradise for your next vacation in Montego Bay. Make it your home for a time and feel the true Jamaican experience. Whenever we travel to a vacation spot, we book a hotel or other kinds of restaurant lodgings that are well known and easily available. We have not thought about renting a beautiful villa as an option for our accommodation. I think for our next vacation I'll be looking at renting a villa.